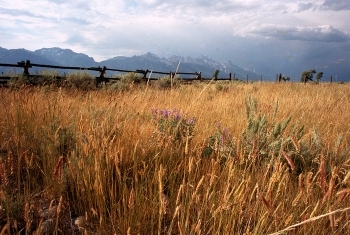 The drive along Highway 191 to the ranch offers multiple photo opportunities as you pass through the eastern edge of Grand Teton National Park. It’s a popular route from amateur photographers to pros who travel here from around the world. Here are a few spots you might want to think about stopping by as you travel to and from the ranch. Ansel Adams created one of his most famous images from this very spot. 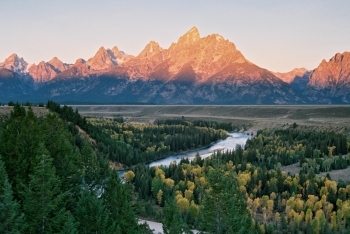 The best light from this vantage point is at sunrise or early morning to photograph the entire Teton Ran ge and the winding Snake River. Sunset can work wonders for your photos if you’re lucky enough to get a few clouds in the sky to act as a color palette. The parking lot off the highway makes this a popular spot for tourists and locals. Tip: Check the bottom corners of your photo for treetops and make sure they are positioned correctly to frame the mountains behind them. This boat landing lets you play with magnificent reflections of the Tetons and surrounding foliage off the still water. The images tend to be more dramatic in the summer and fall. This location is great in the morning with the full, low angle sunlight on the peaks. The stillness of evenings also provides opportunities. Moose, elk and beaver are frequently spotted in this area, giving you a chance to capture the wildlife. You may even be surprised by an osprey diving into the water for fish. Walk down from the parking lot then follow the river channel for numerous options. Tip: You’ll want to use a tripod to make sure your camera is perfectly still to create those breathtaking Teton reflections on water. Just north of M oose Junction, this marshy area is a great place to find moose in the morning. 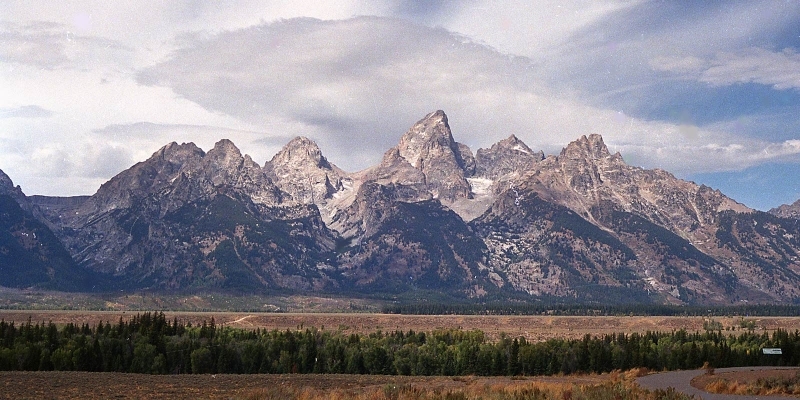 This area boasts lush vegetation to use as great foreground set against the Tetons. Summer and fall offer a variety of colors to shoot. Morning and evening offer the best light for your photographs. This spot also tends to be more secluded than the others on this list. This frequently photographed homestead settlement is east of the highway and Blacktail Ponds. The structures on the land appeal to people with an interest in history and classic mountain scenery. You’ll have plenty of options to frame your photos as you play Moulton Barn off the backdrop of the Tetons. Like most photo hot spots on this side of the Tetons, morning light works best. Tip: Pay attention to where you are in correlation with the sun. If the sun is behind you, your shadow may show up in the bottom of your picture. You’ll soon discover that almost anywhere in this part of Wyoming is going to provide you with amazing photographic opportunities. Be sure to have your camera ready so you can capture that once-in-a-lifetime photo.